Reinforcing its place in the scientific community, the arXiv repository at Cornell University Library reached a new milestone in October 2008: Half a million e-print postings -- research articles published online -- now reside in arXiv, which is free and available to the public. 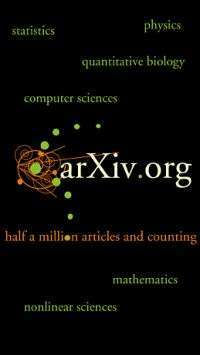 arXiv is the primary daily information source for hundreds of thousands of researchers in physics and related fields. Its users include 53 physics Nobel laureates, 31 Fields medalists and 55 MacArthur fellows, as well as people in countries with limited access to scientific materials. The famously reclusive Russian mathematician Grigori Perelman posted the proof for the 100-year-old Poincaré Conjecture solely in arXiv. Journalists use the repository to prepare articles for the general public about newly released scientific results. It has long stood at the forefront of the open-access movement and served as the model for many other initiatives, including the National Institutes of Health's PubMedCentral repository and many institutional DSpace repositories. arXiv is ranked the No. 1 repository in the world by the Webometrics Ranking of World Universities. "arXiv began its operations before the World Wide Web, search engines, online commerce and all the rest, but nonetheless anticipated many components of Web 2.0 methodology," said Cornell professor Paul Ginsparg, arXiv's creator. "It continues to play a leading role at the forefront of new models for scientific communication." arXiv encompasses publications in physics, mathematics, statistics, computer science and quantitative biology. Researchers upload their articles to arXiv, and they are usually made available to the public the next day. A team of 113 volunteer moderators from around the world screen submissions and recommend whether they should be included in the repository. More than 200,000 articles are downloaded from arXiv each week by about 400,000 users, and its 118,000 registered submitters live in nearly 200 countries, including Suriname, Sudan and Iraq. Fifteen countries host mirrors of the main site, which is located on Cornell's campus in Ithaca. "It represents an incredible model for scholarly communication that transcends borders, publishers and time," said Anne Kenney, Cornell's Carl A. Kroch University Librarian. "We bring operational stability and a demonstrated track record of stewardship to this invaluable open-access resource."